Here is a collection of links to various resources for information on Down Syndrome or other associations that can help. http://www.downsed.org/ is a site from the UK that has great on-line resources. Articles on speech, language, dentistry, etc are all available from the information network portion of the website. 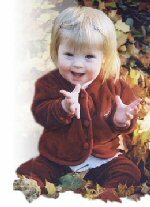 http://www.down-syndrome.info/topics/recommended/families/ is a recommended reaading list for families. I found many of the articles to be extremely useful. http://disabilityisnatural.com/ is a wonderful site with a lot of information about advocacy and general information. http://davehingsburger.blogspot.com/ is a great disability blog. The Chemung ARC sponsors the Down Syndrome Information Network of the Twin Tiers. They have a number of programs that those with Down Syndrome and those who care for those with Down Syndrome can take advantage of. The National Down Syndrome Congress is another very good site to obtain information on Down Syndrome. This is a very comprehensive site for the National Down Syndrome Society, of which the Down Syndrome Information Network of the Twin Tiers is a member.